This week iHome announced two new speaker products with built-in Alexa support. The first is a $179.99 vanity mirror, and the second is a $99.95 bedside alarm clock. Amazon is currently selling both items. iHome is not owned by Apple but has held partnerships with Google, Nest, Wink, Samsung, Amazon, and Apple. The first iHome product introduced, an iPod-docking clock radio, was the top-selling iPod accessory in 2005 when iHome was first established. The bedside alarm clock will allow users to play music, control smart home devices, set alarms, hear the news, and check the weather. There is a programmable smart button that can be set to access Spotify, answer calls, or whatever a user likes. Audio can stream wirelessly with Bluetooth or WiFi, and there is also a USB port to charge mobile devices. The vanity mirror offers Bluetooth audio and has a speakerphone built-in. There is also a USB port for charging iOS and other devices. Users will be able to use Alexa to stream music, audiobooks, control smart home devices, get weather, news, traffic and more. Is There a Market for Smart Mirrors? Smart mirrors haven’t had a great track record with consumers thus far. The first smart mirror offerings from startups like Duo and Daptly never made it to market. They were also expensive, especially when compared to that of a smart speaker. But these companies ignored the number one use case for a smart mirror: beauty. When someone is actually using a mirror, their hands are typically busy doing other tasks, like applying makeup or styling their hair. Hi-Mirror, a $199 smart mirror initially released at CES 2017, was one of the first companies to take advantage of this use case. It can asses your skin’s condition and recommend actionable suggestions, provide articles about a beauty topic, access social media, or even recommend specific products. 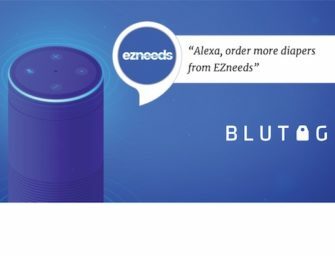 Alexa is built in, and users can ask Alexa right then and there to add the product to a shopping list. Unlike its other competitors, the Hi-Mirror made it to market and was recently even deemed “The Best Beauty Gadget for Christmas 2018” by Vogue Magazine. While the iHome vanity mirror isn’t specifically built for additional beauty use cases, the price is right for success. It also has name recognition. As more well known companies get into the smart mirror industry, consumers might begin to adopt these hands free beauty tools, especially if the price is right. Then maybe, a $700 smart mirror could gain some traction.